Through the European Economic Area (EEA) Agreement, Iceland, Liechtenstein and Norway are partners in the Internal Market with the 27 EU member states. We also share common values and responsibility with other European countries to promote equality of opportunity, tolerance, security, environmental sustainability and a decent standard of living for all. 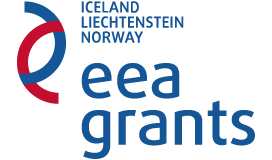 Ever since the establishment of the EEA Agreement in 1994, Iceland, Liechtenstein and Norway have provided funding to reduce social and economic disparities in the EEA. Despite much progress in Europe, gaps in economic development and living standards persist. The expansions of the EU in 2004 and 2009 brought a 20% increase in the EU's population, but only a 5% increase in GDP. The EEA Grants are helping to reduce disparities. The funding is targeted on areas where there are clear needs in the beneficiary countries and that are in line with national priorities and wider European goals. National Focal Point in Spain: Ministry of Finance and Public Administration. Fund for NGO Programme Operator: NGO Platform of Social Action. What is the Active Citizenship Programme? The Programme will support the civil society development and contribute to social justice, democracy and sustainable development. What are the priority areas of the Programme? Democracy, human rights, anti-discrimination, good governance and transparency, participatory democracy, combat racism and xenophobia, social inequalities, poverty and exclusion, including in rural areas, vulnerable groups, gender equality and gender-based violence). At least 1/3 of the total eligible expenditure of the programme shall be dedicates to these core areas of support.